Supriya is an IB educator since January 2005 and is currently Head, International Curriculum at Bombay International School. Her core expertise is in teaching IBDP Business Management, Extended Essay Coordination, DP Coordination, In-School Professional Development and Implementation and alignment of the IBDP with Standards and Practices. She was appointed by the International Baccalaureate, Global School Services (Bethesda, USA) as ‘New Design Service Team Member’ on the Curriculum Connections team from September-December, 2013. She has done the BM up-skilling course in concept-based teaching (October, 2013). She has led C1 and C3 IBAP workshops since 2010 in the Asia Pacific (Kuala Lumpur, Bangkok, New Delhi, Jaipur, Mumbai) for Extended Essays, DP Coordination and Business Management. She has written over 100 articles in the DNA, Economic Times and Education times since 2003 on the education sector. 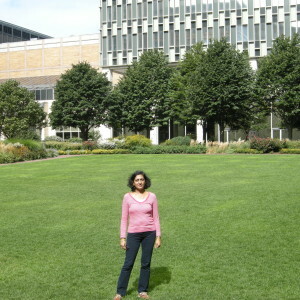 Supriya was a Team Leader for Business and Management Paper 2 for May 2013 and 2014 sessions. She has been an Assistant examiner for B&M HL Paper 2 since 2008, Business and Management Extended Essays since 2008, Moderator for EUR (Enquiry Upon Results) for B&M (Extended Essays, Paper 2) for session May 2013. She was part of the Curriculum Review Team for Extended Essays, Cardiff, October 2010 and the Grade Award Meeting for BM, Cardiff, 2005. She is passionate about inquiry-based learning and implementing best practices in pedagogy. She is working closely with the community at BIS to embed approaches to teaching and learning in to the curriculum. She keeps herself updated by participating in international education conventions and seminars. Supriya worked with Jamnabai Narsee School, Mumbai as the Assistant IBDP Coordinator from 2005 – 2007 and was with Dhirubhai Ambani International School from July 2007 –August 2013 where she was the EE Coordinator and subsequently the DP Coordinator. Her academic qualifications include ‘Counselling skills for professionals/ educators’ (2005), MBA from the Indian Institute of Management, Ahmedabad (IIMA) in 1988, B.Com from the Sydenham College of Commerce, Mumbai, in 1986, HSC (High School/Junior College) from H.R. College of Commerce, Mumbai in 1983, Grade 10 from Bombay International School in 1981. She stood second in Bombay University in 1986, secured second rank in the Higher Secondary Board in 1983 and stood first in Bombay International School in the ICSE in 1981. Recent workshops/ conferences attended by her include the IBAP Regional Conference Singapore 2014, IBAP Conference Kuala Lumpur 2013, Making PYP Happen March 2014, DP Coordinators, Chennai, October, 2012, ASB unplugged February 2012, Workshop Leaders’ Refresher course, Mumbai, November 2012, Extended Essays, Hyderabad, October 2010, Workshop Leaders’ Training Chiang Mai, September 2010, C2 Business and Management, Hong Kong, October 2009, IBAP Regional Conference, Hanoi, October, 2006, C1 DP Coordinators, Hanoi, October 2006 and Business and Management, Mumbai, March 2005. She did her IBE training in Kathmandu (September, 2014) to be a site visiting team member.